This brother and sister duo is inseparable, and completely adorable. 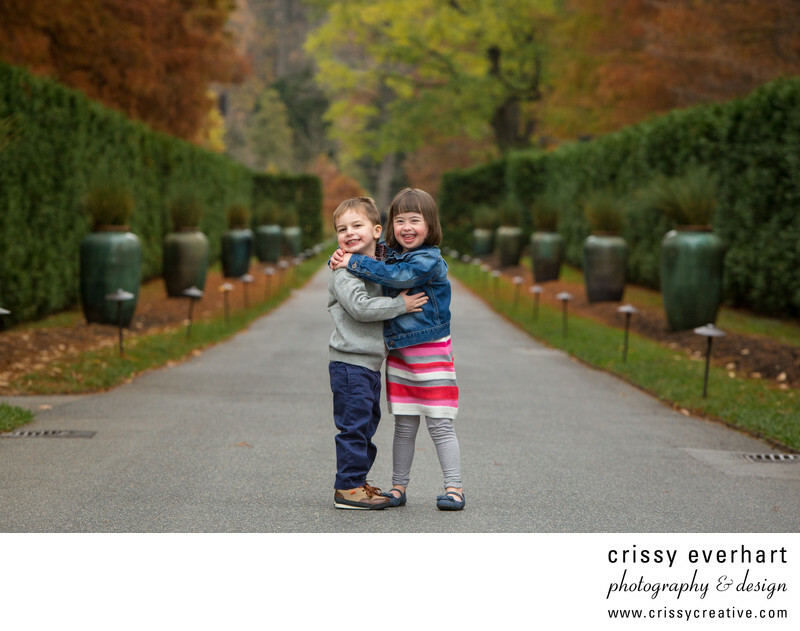 I photographed their family portraits at Longwood Gardens in the fall and the little boy literally did not want to leave when we were done. "Just 10 more!" he kept saying. I loved photographing them and I think they had a great time too! In this image the siblings give each other a hug on a walkway at the gardens, with a rows of hedges and plants in vases on either side of the walkway behind them. The trees are turning orange and yellow and it's visibly autumn. Location: 1001 Longwood Rd, Kennett Square, PA 19348.